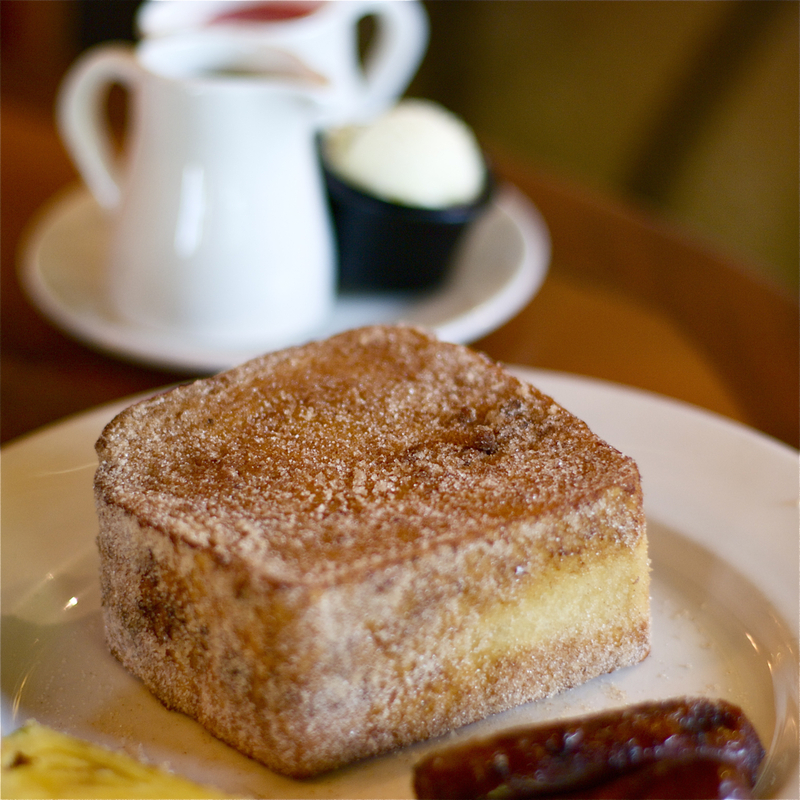 A favorite breakfast for many, Tonga Toast is served at Kona Cafe in the Polynesian Resort. 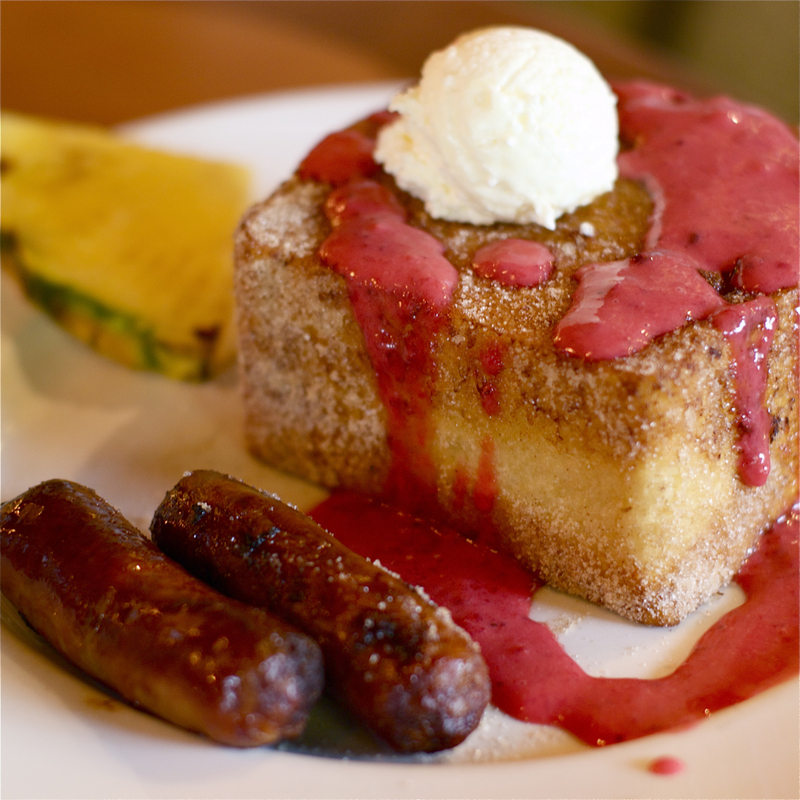 After ordering Tonga Toast, a small plate withÂ syrup, macadamia butter and strawberry compote is delivered to your table. Shortly thereafter, the Tonga Toast arrives. It is served with a slice of pineapple and your choice of ham, bacon or sausage. Tonga Toast: Some assembly required. Layers of flavor! Let’s start from the outside and work inward: macadamia butter, strawberry compote, cinnamon sugar, soughdough french toast, banana stuffing. Tonga Toast is huge. 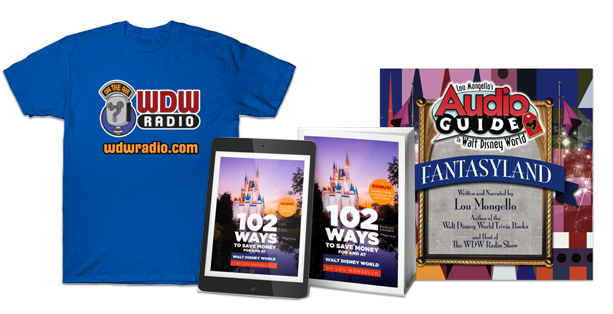 Some find it too large, but let’s face it… you’re going to need those calories in the parks! Have you tried Tonga Toast? What is your opinion? Comment below! I’m not a fan of Tonga Toast…I know, what’s wrong with me. But I love Kona Cafe. Their Pineapple Macadamia Pancakes and a pressed pot of Kona coffee are my traditional breakfast for my last day. This looks like something I have to try out when I’m at Disney this year. I love Kona coffee too!! Oh, Lou, that looks soooo good! 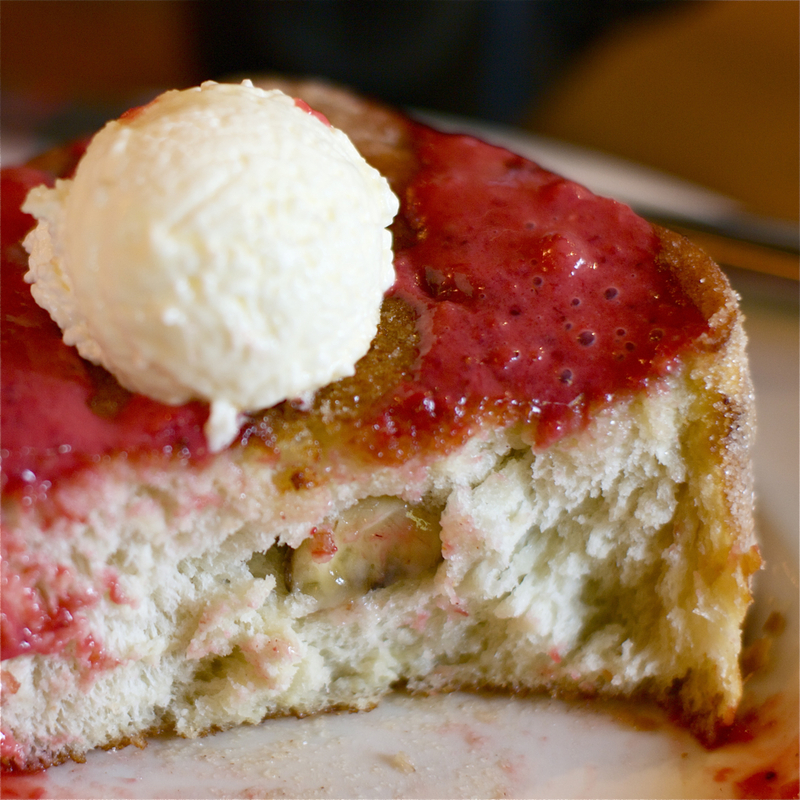 I have never had tonga toast, but exactly 2 weeks from today I will be sitting at Kona Cafe doing some “research”! Can’t wait! Thanks again! I never heard about it! I want to try it though! Yummy! We’ll be trying tonga toast for the first time in a couple weeks. In all of our visits, we’ve never made it to Kona for breakfast. So looking forward to experience this cherished favorite. Thanks Lou, for priming my appetite. Excellent post, as usual. I tried it the last time we were down there on your recommendation, but down at Captain Cook’s. I didn’t realize I was missing out on the macadamia butter! 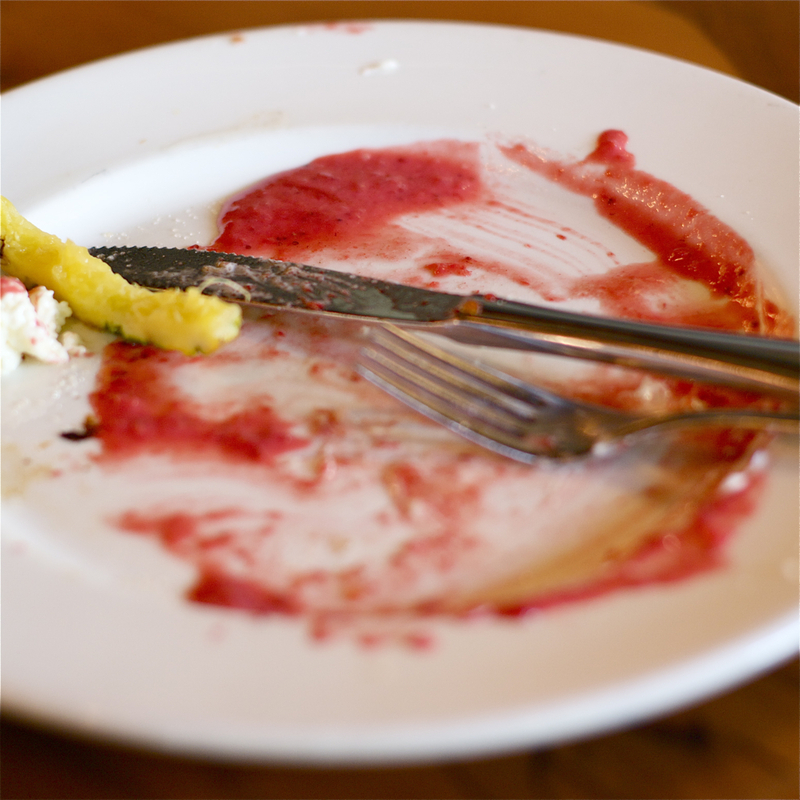 Another thing for my list… Anyway, it was delicious and I totally look forward to having it again. Mommyeeyore requested the recipe. Below you will find it. Heat about 4 inches of oil in a pan to 350Âº F. Dip stuffed bread into egg/milk mixture and let it soak a few seconds to let penetrate bread. Fry bread on both sides in hot oil until lightly browned, about 3 minutes. Drain on paper towels or wire rack. Sprinkle with cinnamon sugar and serve. I LOVE the Tonga Toast! My family tries to stop at Kona for it each time we visit! I tried this for the first time last summer and I’m HOOKED! It’s definitely sweet, but with a piece of ham and some hot coffee it was the perfect start to the day. Can’t wait for more! 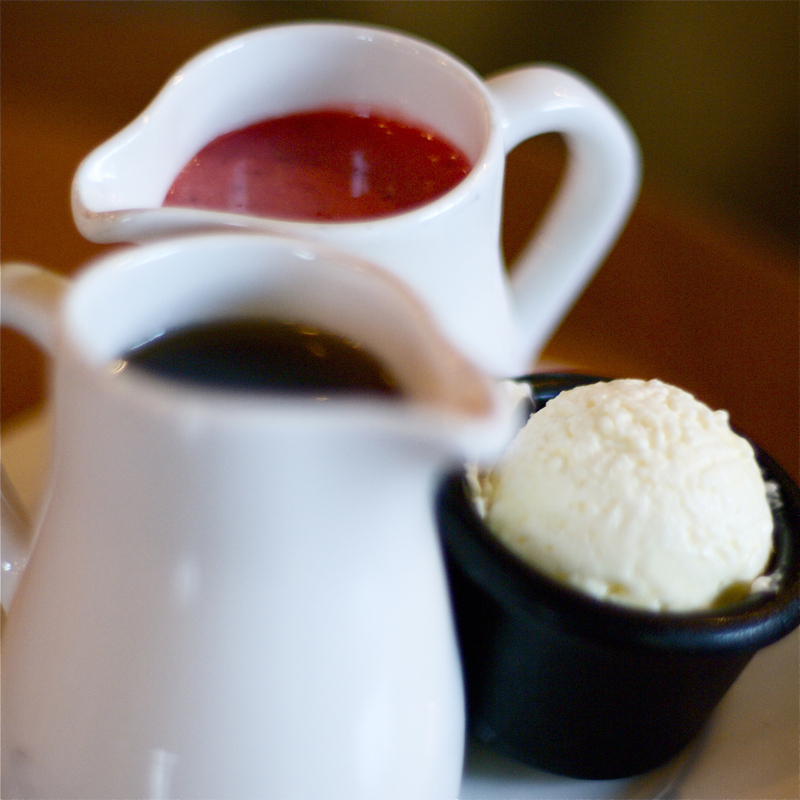 Anyone know how to make the strawberry compote? We love making the Tonga Toast at home, just want to add the compote!! I absolutely love the pictures! They make me long for my October trip where I will once again be reunited with my food love~ Tonga Toast! Just shared with hubbie, since we’re both fans of Tonga Toast. He asks who posted that? I say Lou Mongello. He’s one of the podcast guys, the one who’s into food. To which the Italian hubbie replies, “His name even means food!” Since we figured “mangione” means big eater, then Mongello must mean short eater. 😉 Love ya, Lou! I’m not sure if this is the same, but I remember having this as a kid (we’re talking the 1970’s here) when my family stayed at the Polynesian. Loved it! Thanks to Eeyoremommey for the recipe. I’m going to make this. On a side note, I might have been the only kid to prefer the Polynesian over the Contemporary. Don’t get me wrong, I love them both, but if I had to choose I would have gone with the Polynesian. Not a fan of Tonga Toast. It’s too sweet for me. Amazing that the list of foods that are to sweet for me can only be found at Disney. :-/ I love the macadamia nut pancakes with pineapple topping! 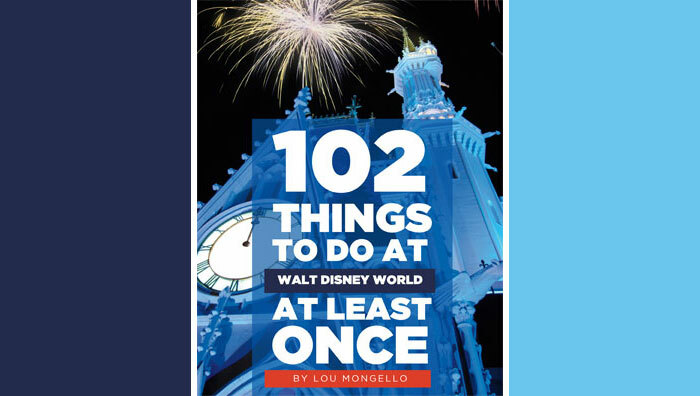 I have been going to WDW at least once a year ever since it opened in ’71 and each and every timewe go to the Polynesian Resort for Tonga Toast. Even the years we g for my birthday, we go for Tonga Toast for breakfast instead of a birthday dinner! I have tried to make it at home but have failed at every attempt. It’s my favorite meal of all times!!!! Not a Tonga Toast fan. I’m too much of a French toast purist, I guess. My wife and I usually split a Big Kahuna – she takes the pancakes, I take the French toast, and we split the rest and wash it down with a press pot of Kona coffee, of course. Love it! Can’t wait to go back and stuff myself with it again. I’m drooling looking at the pictures.